Nintendo has always done things a little differently than its competitors, and not just by making wacky controllers. Since entering the video game industry at the end of the 1970s, Nintendo has always made sure its hardware was profitable as soon as it went on sale. The Wii for example cost $250 when it first came out in 2006, but it cost Nintendo just $158 to make. 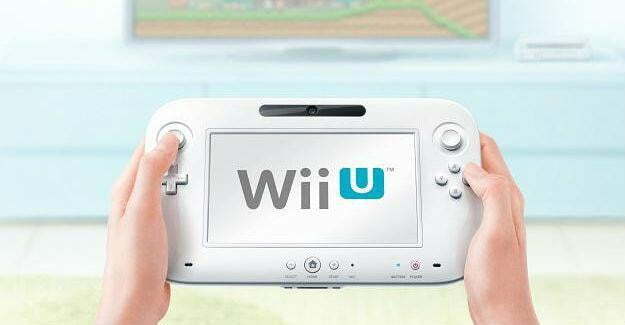 According to a report at Forget the Box, Wii U will be no different. Sources close to Nintendo’s manufacturing operations, a Wii U console costs about $180 to produce. The system’s raison d’être, its touch screen controller, represents around $50 of the total cost. The controller’s parts in turn break down as such: The near-field communication technology in each controller costs around $5, the camera in the controller is $6 and the touch screen itself is around $14. The source says that the device will retail for no less than $300, making it the most expensive Nintendo console by dollar amount ever released. Nintendo won’t be pulling in a $120 profit on every Wii U sold of course. That estimated production cost covers just the components in the machine, not the cost of packaging, shipping, marketing costs, or the software that will be included in the system, including its operating system and the “channels” like Nintendo Video Channel that have become a fixture of the company’s machines. Nintendo runs a serious risk releasing Wii U at $300 though. The company attempted a similar pricing structure when it released the Nintendo 3DS in 2011. IHS iSuppli pegged 3DS production costs at just over $100, but Nintendo decided to release the system at $250. The thinking was that the strength of the DS brand would get people buying up the 3DS en masse even if it did release without a Super Mario Bros. or Pokémon to lure in old customers. In that case “cutting production costs to maximize profits” resulted in nearly catastrophic failure. Nintendo was forced to drop the price of the 3DS to $170 within four months of release due to low sales. The company’s stock in turn imploded, hitting lows not seen since the early ‘00s due to the lack of investor confidence. Nintendo needs Wii U to be a hit. It cannot release a machine that’s comparable to 7 year-old technology like Xbox 360 and PlayStation 3 at $300 because consumers simply won’t see a value proposition in the system. Games alone won’t help. It needs software and a competitive price. For the Wii, it was the combo of Wii Sports and a machine cheaper than the competition’s. Without that combination, Wii U will be dead on arrival, no matter how much Nintendo saves on production costs.